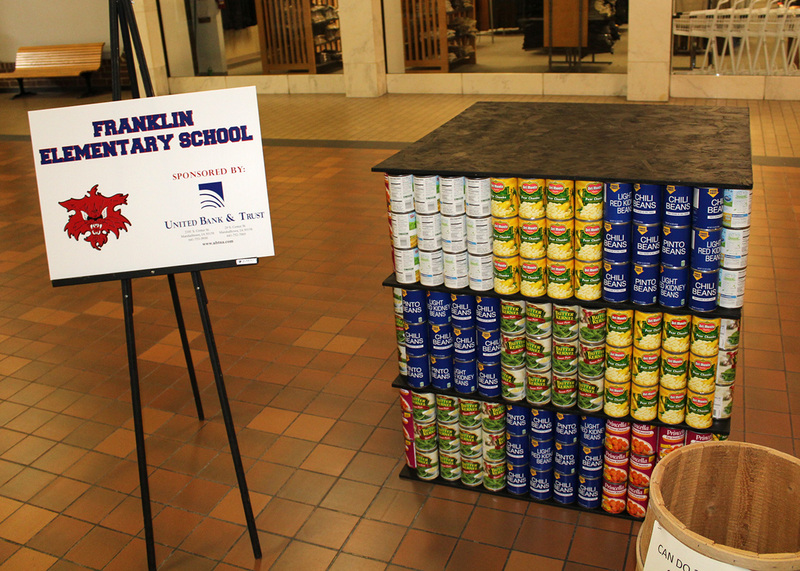 Four Marshalltown schools are participating in the Can-Do project at the Marshalltown Mall. 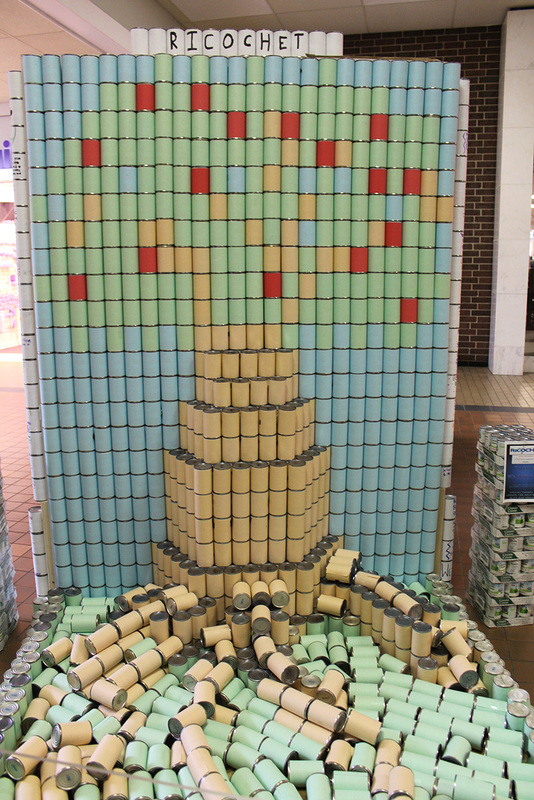 The project has teams build can sculptures with donations of the canned goods going to the Emergency Food Box. The sculptures are now on display at the mall through May 3. 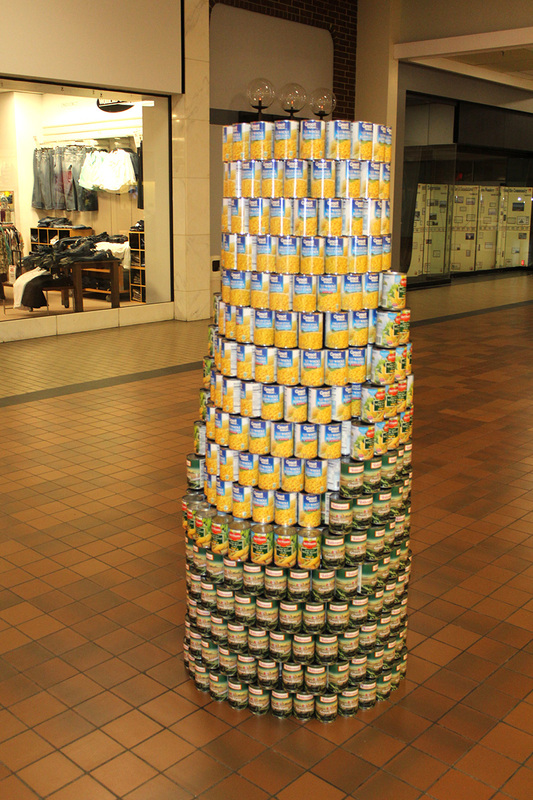 Visitors can vote on their favorite sculpture by leaving a non-perishable food donation. – Woodbury Elementary School and Wells Fargo partnered to produce a ‘The Cat in the Hat” hat . – Lenihan Intermediate School’s student leadership group Ricochet partnered with Lennox to produce a tree sculpture. – A Marshalltown High School graphic design class partnered with the Southridge Nursing and Rehab Center to create a sculpture of a corn cob. – Franklin Elementary School partnered with United Bank & Trust for its Rubik’s cube sculpture.